A recent post by Kotaku has stated that no Level-5 game at the Tokyo Game Show is confirmed for western release. The brief posting stems from a conversation one of the Kotaku writers had with an employee at the Level-5 booth. Though this may be true for the time being, the chances of none of these Level-5 games are coming to western markets are tinier than minuscule. Level-5 has brought ten games to TGS. Four of the games are based around their Professor Layton series and four are based on the Inazuma Eleven Sports RPG series. 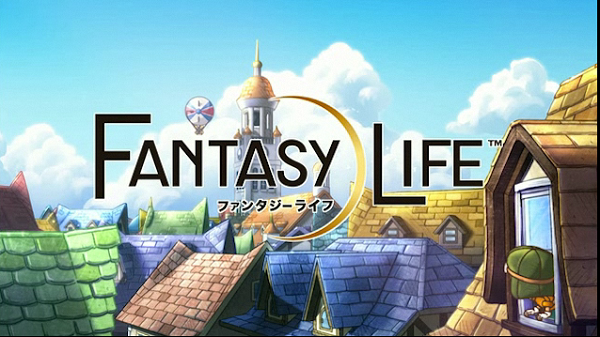 One is a game that’s based on an anime while the tenth is new IP Fantasy Life. The Professor Layton games have been released around the world, with Nintendo taking over publishing duties in the west for games on the Nintendo DS and the upcoming 3DS installment Miracle Mask. It’s safe to say that Nintendo will continue to do that for the sixth Professor Layton game, Legacy of Super Civilization A (I predict that we could see it as early as 2014 in the west). Professor Layton vs. 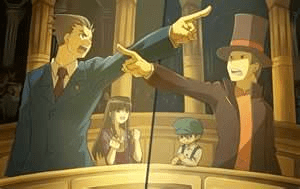 Ace Attorney should also see a release in the west, either by co-developer Capcom or Nintendo (or maybe both), possibly as early as late 2013. The other two games appearing for Professor Layton are the Layton Brothers Mystery Room – coming to iOS – and the social game Professor Layton and the Century of the Seven Phantom Thiefs. These two could have issues coming west. The main one is that Level-5 would lose its main publisher, Nintendo, and would either have to localize it themselves or find a new publishing partner. Depending on how sales for Miracle Mask go, we might see the iOS game but I don’t expect to see the social installment anytime soon. For our European friends, we have the Inazuma Eleven series games, which include Inazuma Eleven 1,2,3 Legend of Mamoru Endo (3DS), Inazuma Eleven GO 2 Chrono Stone (3DS), Inazuma Eleven Strikers 2013 Xtreme (Wii), and what appears to be a card game based on the series coming to GREE. Given that the series has had games released in Europe, it is possible to see these games coming over. The game I feel that has the best shot is the compilation Legend of Mamoru Endo, which features the first trilogy in the series. Seeing as Europe only got the first games from that (and took a long time to localize), this game makes the most sense to see localized. Chrono Stone might make it but I think it will need to wait until a decision on the first Inazuma Eleven GO game gets released. Strikers 2013 Xtreme will probably be dated before it gets a chance to get localized and the card game will probably stay in Japan with the other RPG-based card games. The only game I can say for sure that we won’t get is Danbōru Senki W (literal translation: Corrugated Cardboard War-Machines). The game is developed alongside an anime of the same name which was based upon another Level-5 game, Little Battlers eXperience. Given that most anime-based games outside of Dragon Ball, Naruto, and Pokemon don’t get localized, don’t expect this one to be. However, it is on the region-free PlayStation Vita, for those that want to try it out. The only real wildcard is Fantasy Life. As stated, this is a brand new IP for Level-5. It is possible for it to see a release. But if you look at another of their IPs, Ni No Kuni, it may take a while. Ni No Kuni was originally on the Nintendo DS, releasing back in 2010. But it wasn’t until years later, and a port to the PlayStation 3, that the game would come west. It may be years down the road before we see Fantasy Life. Hopefully, if Ni No Kuni is successful, we will see a localization of this game. So, yes, these games may not be confirmed for localization, and some may not see localization at all. But fret not. There is no need to start a “Fans for Fantasy Life” group or an “Operation Ace Professor” campaign. These will come. To check out the Level-5 TGS line-up, click here.